The Ameristep element blind is engineered with NS3 carbon enhanced fabric. 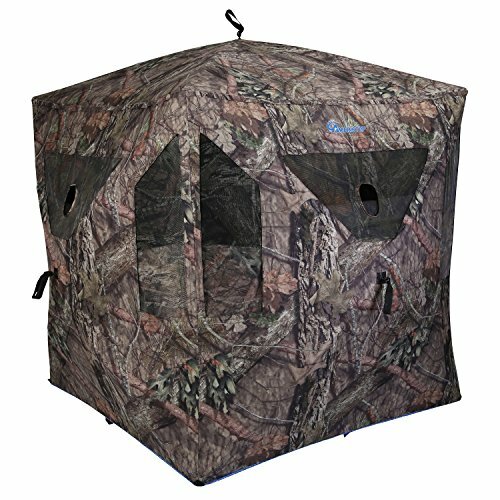 Contains shoot through mesh windows with gun ports and brush loops for adding natural cover. Includes backpack, stakes, and tie-down rope. Designed with Mossy Oak Break-Up country camo.